Roof Cleaning in Ipswich, QLD 4305. Welcome to Aclean House Washing. We are committed to providing you with the highest quality Roof cleaning services around Ipswich at affordable prices. Since the roofing is constantly exposed to the vagaries of nature, and also it will see a build-up of mildew and moss growth and dirt, dust and dried leaves and bird droppings, roof cleaning should be carried out periodically. This way, not only does it keep your house looking new, but you will be extending the longevity of the roofing. The house value will definitely be higher and the roof will be well-maintained. So that is why expert roof cleaners from A Clean House Washing should be hired for the same. You should always plan on engaging roof cleaning experts like A Clean House Washing to carry out a round of roof cleaning in your Ipswich place periodically. This is very important not just from the aesthetic point of view but to also keep your roof in good condition. Also, at times, if the roofing in your Ipswich home is damaged or there are some leaks or cracks, it will not be visible if the roof is not clean. 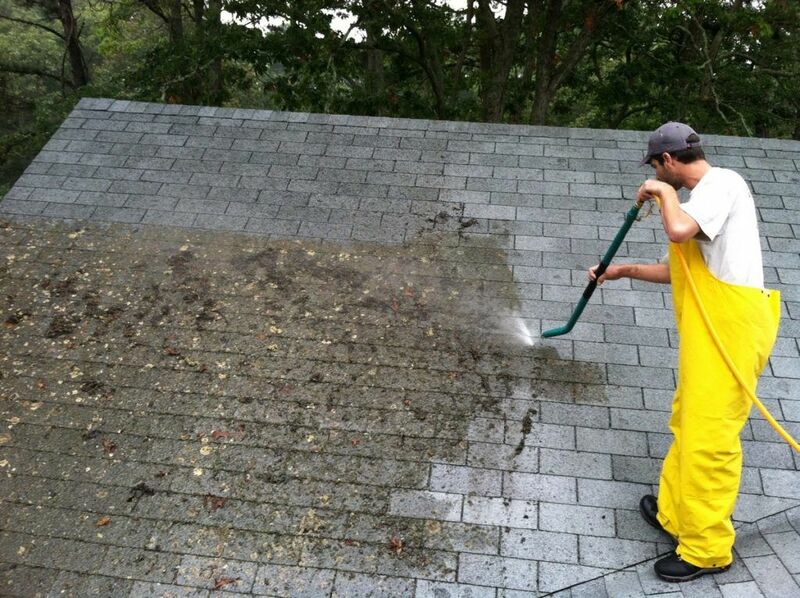 So, roof cleaning will expose any problem and you can address it or repair the roof on an immediate basis. This way, before the roofing problem aggravates and more damages don’t occur to it, you can save time and money by repairing the roofing in your Ipswich home immediately. All thanks to the roof cleaners who have carried out a thorough roof cleaning. For a round of roof cleaning in Ipswich, touch base with A Clean House Washing on 0419 778 863. Or email us on acleanhousewashing@gmail.com.